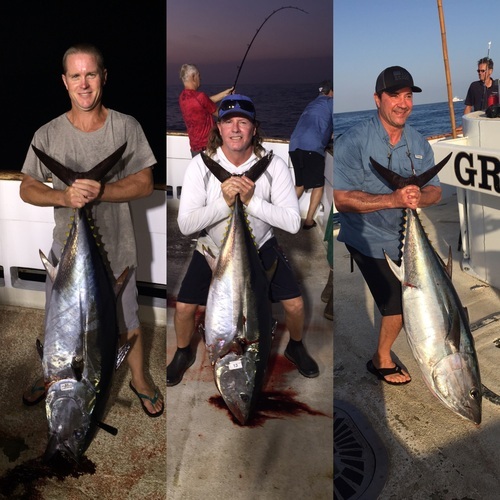 These are the first three tuna of a sundowner that lasted for two hours and kicked out 12 of these beauties from 80 to 100 pounds. We are sold out for the big Labor Day weekend but resume open party trips on Monday night. We hope to see you with us, please call 619-223-1627. Anytime you buy a ticket on a boat out of San Diego right now you're buying an opportunity for the fish of a lifetime.